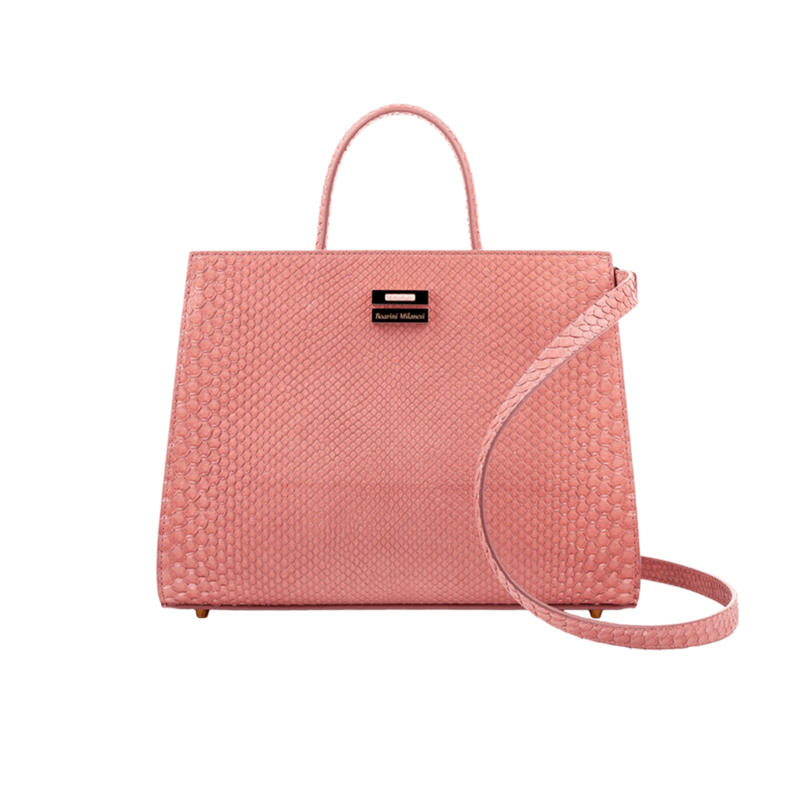 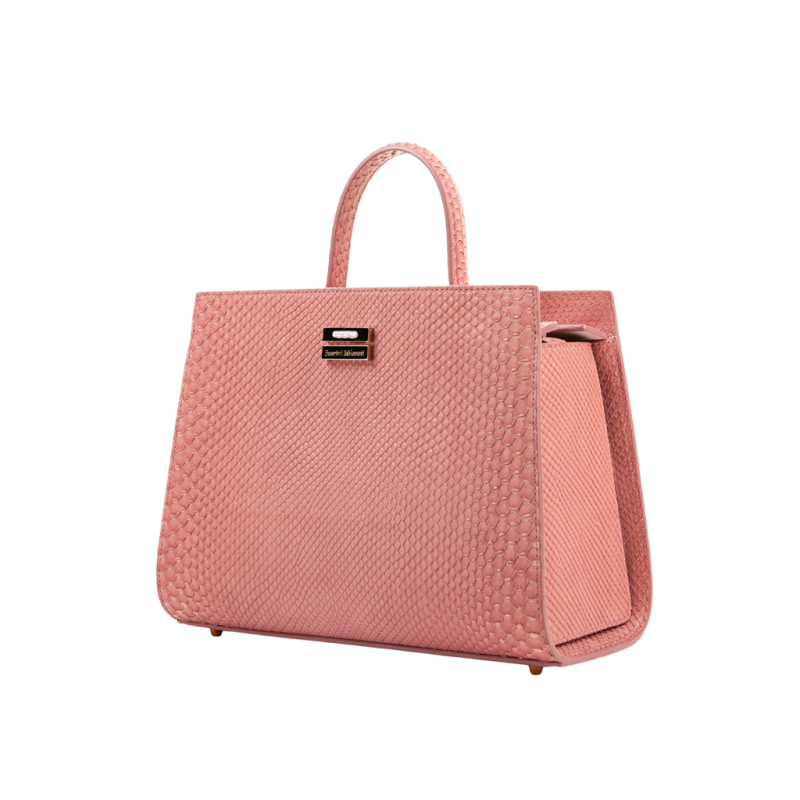 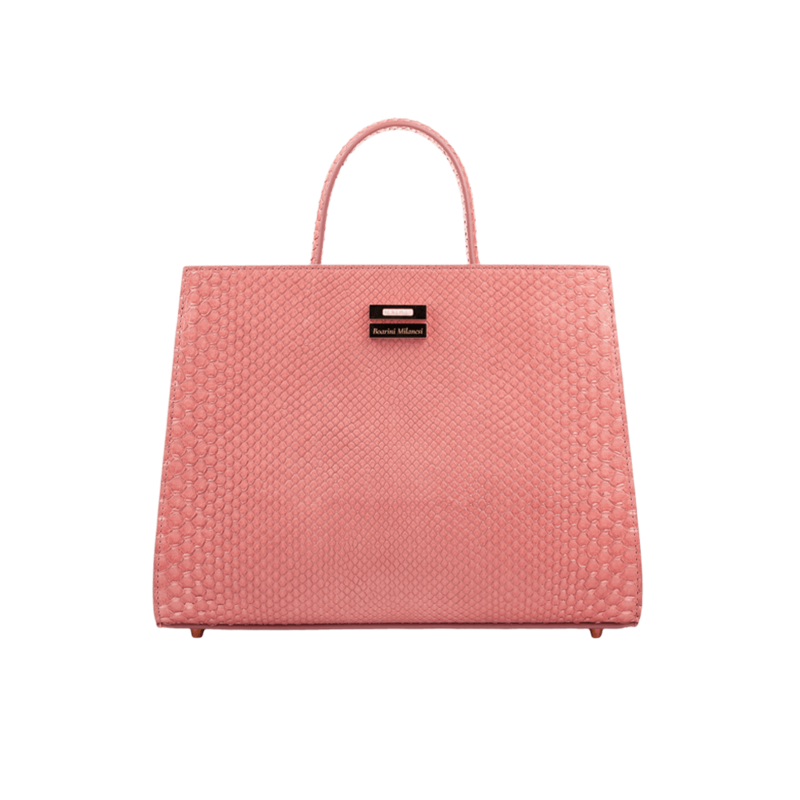 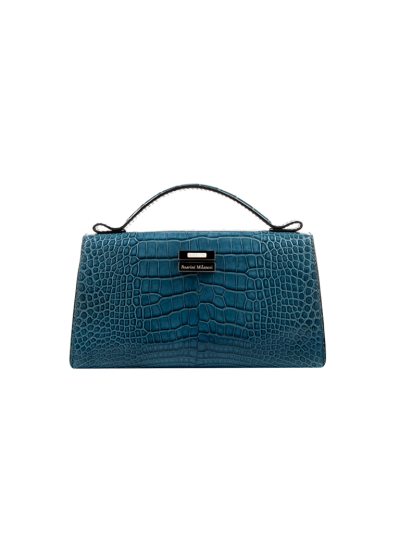 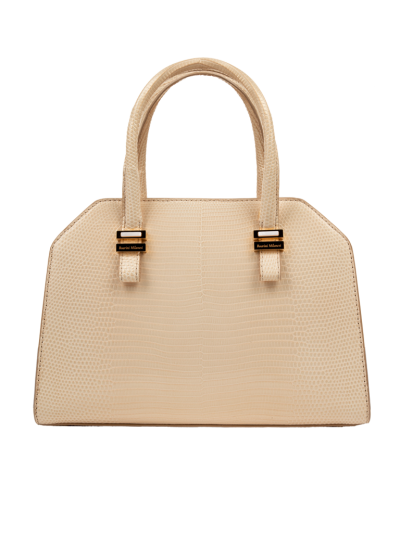 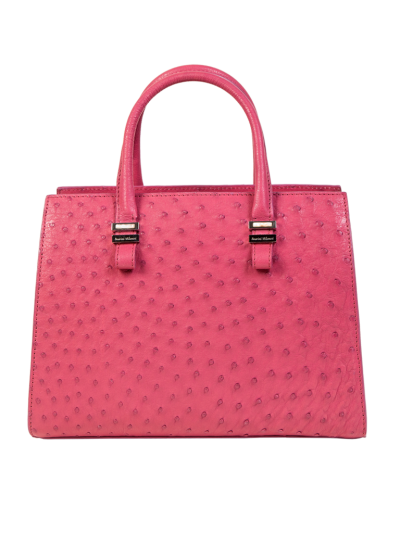 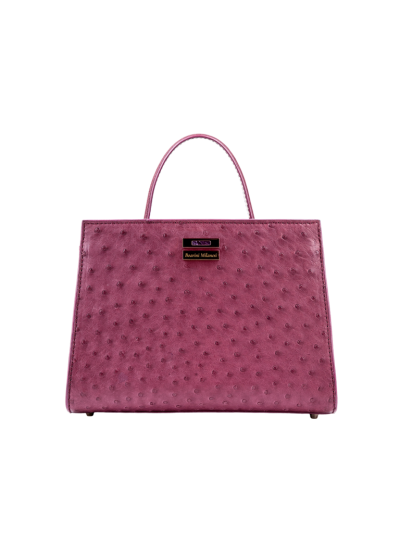 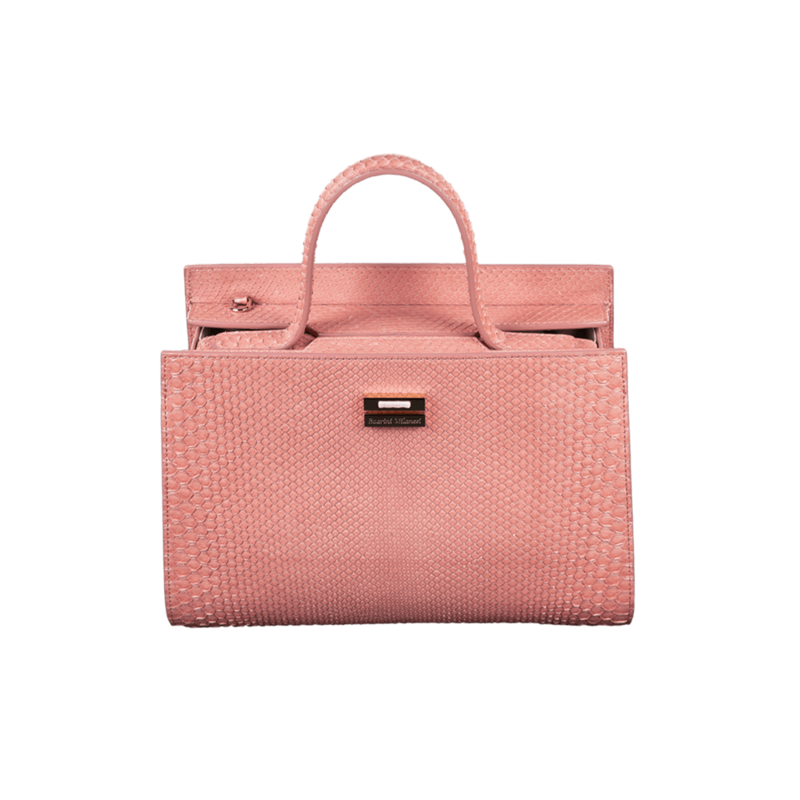 Handbag in precious Molurus python leather. 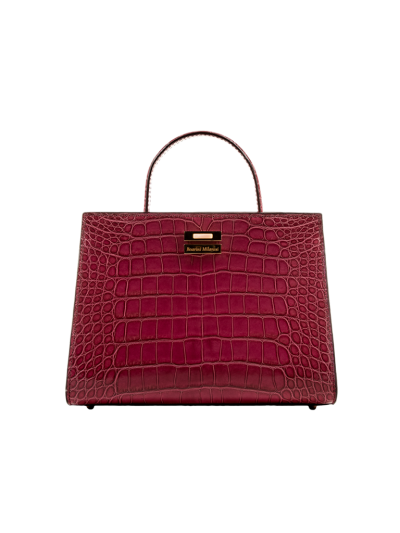 Handbag in precious Molurus python leather in Briar Rose. 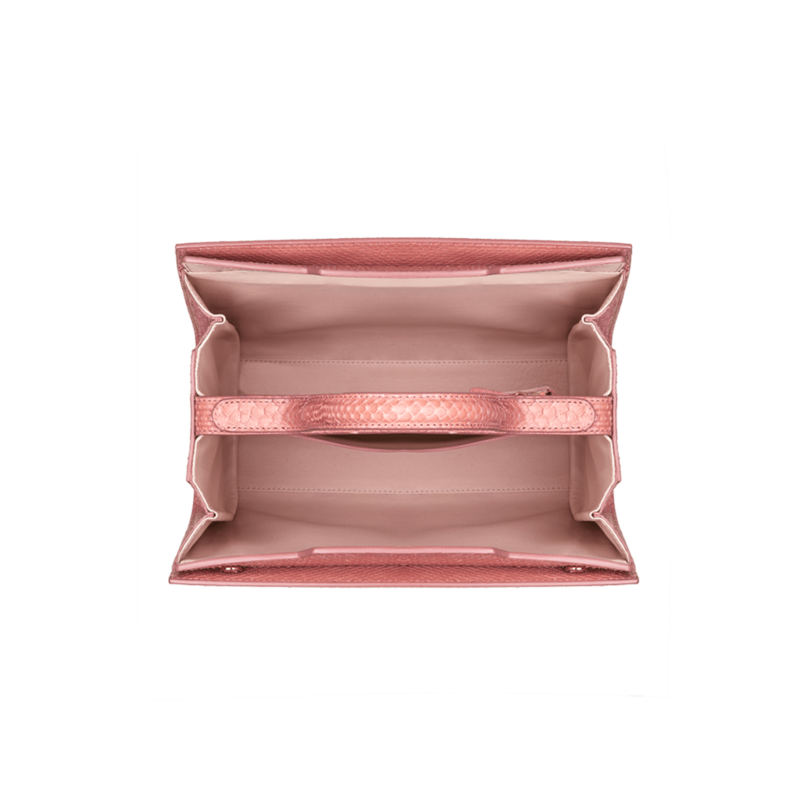 Soft interior in pink nappa leather.